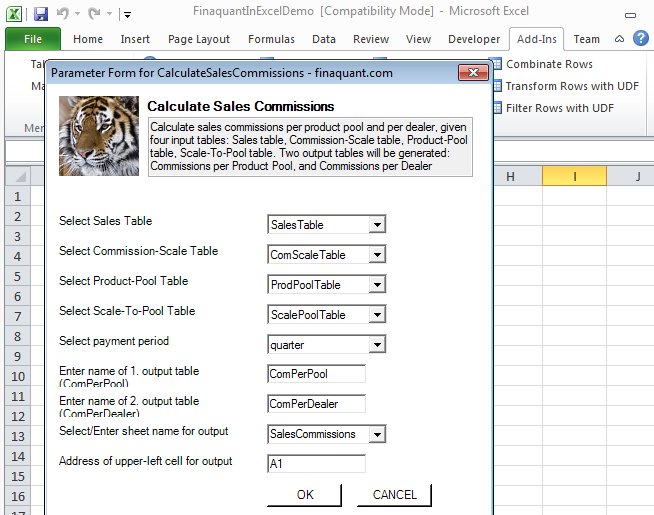 In a previous article I explained how sales commissions with tiered rates and product groups can be calculated using the table-valued functions of our .net library Finaquant Calcs. Dealers receive sales commissions proportional to their sales totals for each product group in a quarter or month (commission or payment period). Product groups (or pools) can be defined by product category or individual products for each dealer. The commission scale with tiered rates (class or level scale logic) for each product group (or pool) determines the amount of commissions to be paid at the end of each commission period. ProdPoolTable Data table which defines product groups by assigning categories or individual products to a group ID. 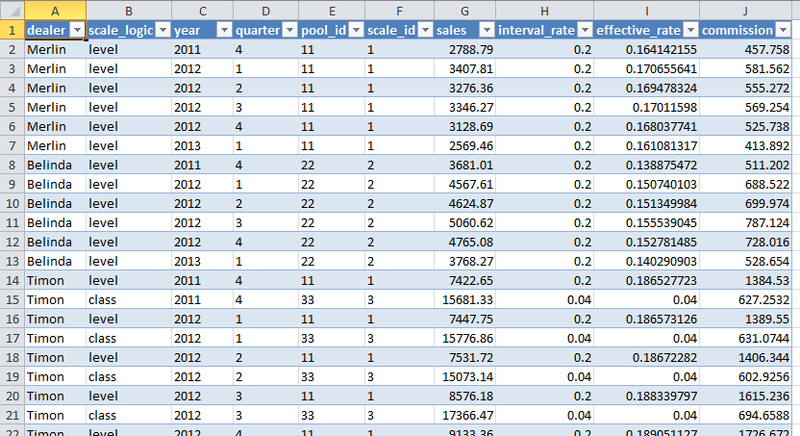 ScalePoolTable Data table which assigns a commission scale to each product group. This little demonstration shows you that you don’t need an expensive software, or elaborate database programming to implement a rule-based calculation like the commission example here. 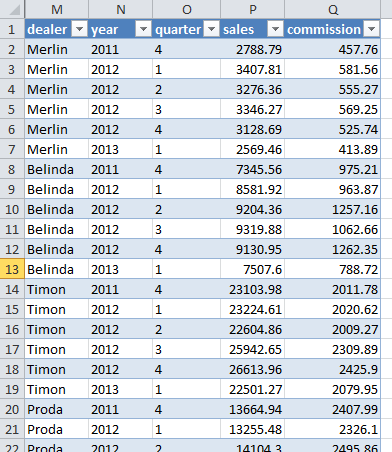 You can simply do it in Excel, using table-valued functions. Please direct them to our community forum. This entry was posted in Calculation engine and tagged commission, excel, finserv, fintech, table functions. Bookmark the permalink.